Certain atoms which have complete octets can donate their valence electrons which are not involved in bond formation ,to other atoms, which are short of electron. These donated electrons are, therefore, lone pair of electrons and are shared by both the atoms. When in the formation of a bond, the electron pair is donated by one atom but shared by both the atoms so as to complete their octets, the bond formed is called co-ordinate bond or dative bond. Bond is represented by an arrow pointing from the donor to the acceptor. Bond has some polar character, it is also known as dative or semi-polar bond or co-ionic bond. In ammonia ,nitrogen has 5 valence electrons. Out of these ,3 electrons are shared by 3 hydrogen atoms to form ammonia molecule while the remaining two electrons form a lone pair, which can be donated to any electron deficient atom or molecule. In BF3 molecule ,boron is short of 2 electron.So to complete its octet, it shares the lone pair of nitrogen ,forming a dative bond. 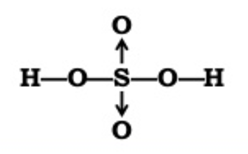 Sulphur as well as oxygen atoms have 6 valence electrons and each is a short of 2 electrons to complete its octet. Sulphur atom and oxygen atom ,share two electrons each thus forming a double bond between them .Sulphur atom still has 4 unshared electrons i.e. two lone pairs to donate.Sulphur donates 1 lone pair to oxygen atom, forming a co-ordinate bond between sulphur and a molecule of Sulphur dioxide.By accepting this lone pair, octet of oxygen is also completed. Sulphur atom has two lone pair of electrons which it can donate to two oxygen atoms forming co-ordinate Bond. A coordinate bond is formed by the overlap of a fully filled orbitals containing a lone pair of electrons with the empty orbital of another atom.